Losing a job is just one painful experience. Starting your career over, adjusting to new people and your workplace is not an easy thing to do. That is why people would love to stay in their current job for as long as they could. However, it is much more difficult to lose your job for the wrong or unjustifiable reasons. If you experienced this, don’t worry for there is something that you can do when you get wrongfully terminated. Know the state of your employment. Are you working in an “at will” state or not? At-will employees can be terminated by their employer at any time. However, you can never be terminated on the basis of discrimination. Know your rights even if you’re just an “at will” employee to prevent being wrongfully terminated. Check your employment contract. The details of your employment are stipulated in the contract. Review your employment contract and understand everything that is in it. Have everything documented. Write down everything that happened when you employer terminated you from your job position. Come up with a timely report for future reference and a timeline including everything that occurred in your termination. You can use such when you press for charges and claim for damages. Prove that you were wrongfully terminated. Since you have everything documented about your work and how you were terminated, you can use this later should you file a case. When you have it ready, look out for instances of discrimination, retaliation, character defamation and more. You can use these later on to bolster the case you are filing, ensuring your win. File your complaint. You can turn to the Equal Employment Opportunity Commission (EEOC) and file the complaint to them. They will then assess your complaint to see if there is probable cause. Then they will file the case to respective courts where these will be heard. Hiring a California wrongful termination lawyer. A good lawyer will provide you will all the right insights on how you should file your complaint and how it should be handled. He will also guide you through the complex processes of dealing with your case. Getting through a legal battle will sure be difficult. But if you have the right support group, you’d be able to get through this difficult process effortlessly. Just follow these tips and we’re sure you are going to be fine. What Can the Labor Sector Expect from the Labor Department’s 2014 Budget Proposal? The Department of Labor has been working very hard in making sure that each and every American gets the job that he or she deserves and that they are protected from abuse and harassment. Through the years, the Labor Department has been able to address issues of both unemployed and employed Americans. The agency has been able to provide sources of livelihood to those people that don’t have a job. On the other hand, the agency protects the rights of those employed by properly implementing various employment laws of the country. To be able to do just that, the agency need to have the manpower and the resources to mobilize its various efforts and programs. It needs funding to be able to come up and finance programs that will take care of the welfare of every American employee. And so, Acting Labor Secretary Seth Harris has already released the agency’s budget for fiscal year 2014. Secretary Harris has also submitted the Labor Department’s budget proposal to the office of President Barack Obama for review and revision as deemed fit by the president and the US Congress. For this fiscal year, the Labor Department has been coming up with additional allocation for its various enforcement programs like the Mine Safety and Health Administration and the Occupational Safety and Health Administration. A part of the project would be used to better implement the various employment laws especially the Fair Labor Standards Act as well the Family and Medical Leave Act. There would also be allocations for various programs like State Paid Leave fund. Moreover, a huge portion of this budget will be used to implement various employment laws that prevents discrimination, harassment, retaliation, wrongful termination, and more. Now that the budget proposal has already been submitted to the proper authorities, the ball is now in the hands of the President and the Congress to have this approved and funds allocated to the Labor Department. The approval of this budget proposal will enable the agency to fulfill its duties as the constitution has. However, more than the allocation that it will receive from the federal government, the agency also needs the help of the citizens to help ensure that the rights of working Americans are upheld and that unemployed Americans are given jobs or livelihood programs to help them survive. What Makes your Termination Wrongful? California has strict employment laws. In fact, a lot of people think that California employees are lucky for the state has a lot of laws that ensure that the rights of every employee is respected and upheld. For wrongful termination cases for example, a lot workers in California know very little about this particular charge and for this reason, most of them end up getting abused and their employers getting away with clear labor violations. Discrimination. If one person is terminated with reasons that are discriminatory in nature, it can be considered a wrongful termination. If decisions to terminate a person depend on one’s race, religion, gender, age, marital status, nationality and pregnancy, it is an automatic case of wrongful termination. Retaliation. 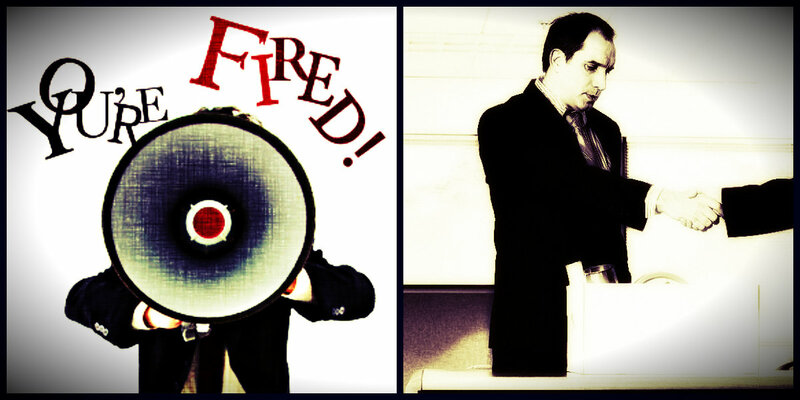 Whistle-blowing employees face a lot of challenges while fighting for what they believe in. Most of them endure this situation which is just plain wrong. Any act against one who exposes truths in the workplace isn’t right. More so if one loses his work because one of his company’s officials was offended by his expose. Breach of Contract. When one company terminates an employee that violates things stipulated in the contract, it is an automatic grounds for filing of wrongful termination cases. Both an employer and an employee should follow the things that are stipulated in the contract they agreed on. While an employee’s failure to comply can result into termination, the failure to comply by the employer automatically is a case of unlawful termination. Termination from defamation of one’s character. 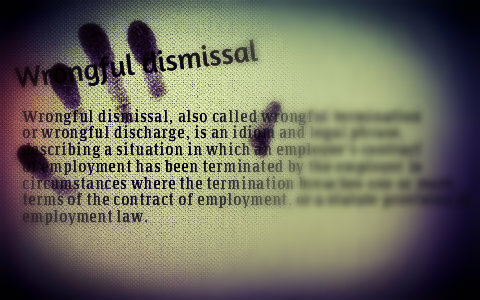 When one is terminated because of reasons that cannot be proven but are only results of hearsays and gossiping, it can also be considered as a case for wrongful termination. If you have been a victim of wrongful termination, one can seek the remedies offered by the various employment laws in California to get the reparation one deserves from being unlawfully terminated. To do that you will need the help of a good California wrongful termination lawyer. This lawyer would help you prepare the complaint, file the same, and come up with a strategy to ensure your win in the case.